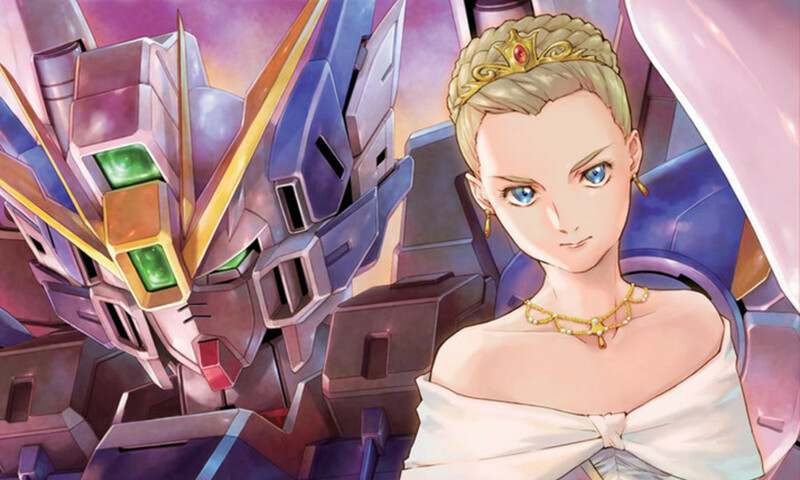 Mobile Suit GUNDAM WING Endless Waltz: Glory of the Losers Vol. 11 Review – AiPT! There’s chaos abound as nations rise and fall. There are a lot of giant robot manga out there, and a lot of Gundam manga among those. So what makes Mobile Suit GUNDAM WING Endless Waltz: Glory of the Losers particularly promising? Its coverage of the violence involved in achieving peace for starters, as well as its polished art and action scenes. The political warfare continues in Vol. 11, as there are betrayals aplenty and countries form and fall. The series is written by Katsuyuki Sumizawa, illustrated by Tomofumi Ogasawara, and published by Vertical Comics. Does this latest installment convey the chaotic nature of war effectively? Is it an enjoyable read? Writing-wise, this volume is impressive. This being a war story and all, there are a lot of characters and military operations vying for page-time. As a result, scene shifts occur constantly and Sumizawa never focuses on one facet of the plot for long. This could easily result in the manga feeling disjointed and rushed, but it doesn’t. Rather, the frequent turns of events and cuts to various GUNDAM pilots successfully convey war’s frantic pace. The characters have to react to their surroundings and enemies at breakneck speed, and it feels appropriate that readers have to as well. The political subterfuge throughout is entertaining, and it never feels like the creators are holding readers’ hands too much. There’s a lot going on, and much of it concerns foreign policy and military strategy, but it’s always handled deftly. The artwork here is also strong. Ogasawara does a good job conveying the flow of action in the battle scenes, which are a pleasure to watch unfold. That’s due in large part to how great the Gundams themselves look. Come for the giant robots, stay for the giant robots. They’re all very well-detailed and their weapons and equipment channel the rule of cool effectively. Ogasawara’s line-work is also notably clean, and the shading throughout looks great. The contrasts between light and dark values help the explosions look impactful, and there’s a definite sense of weight to the various objects depicted. Characters actually feel like they’re inhabiting and interacting with their war-torn settings. On the downside, there are some occasional clarity issues. None of them are major enough to cause huge disruptions, but they do take one out of the action a bit. Sometimes it’s difficult to track what exactly is happening from panel to panel, which makes it easy to pick up the pace a bit while reading and stop paying as close of attention to smaller details. This mostly occurs during battle scenes where there are all manner of flying projectiles and big, hulking mechs. My other main con with the volume concerns a scene roughly halfway through where two Gundam pilots see visions of the future. These premonitions aren’t actually depicted, so while we see the characters react to them, we don’t see the events causing said reactions. We get enough context to have a basic understanding of what’s happening, but it’s not very in-depth and it doesn’t allow much time for actual introspection. As a result, the characters’ changing motivations and actions don’t pack as much of a punch as they potentially could. Mobile Suit GUNDAM WING Endless Waltz: Glory of the Losers Vol. 11 has a lot going on. So many different characters make so many pivotal decisions as they try to steer the war their way. There are betrayals, political upheavals, and giant robot battles galore. On the downside, there are some clarity issues and scenes that don’t feel like they’re executed to their full potential. Nonetheless, I had a good time reading this volume and I would recommend it to any mecha fan. I had a good time reading this volume and I would recommend it to any mecha fan.